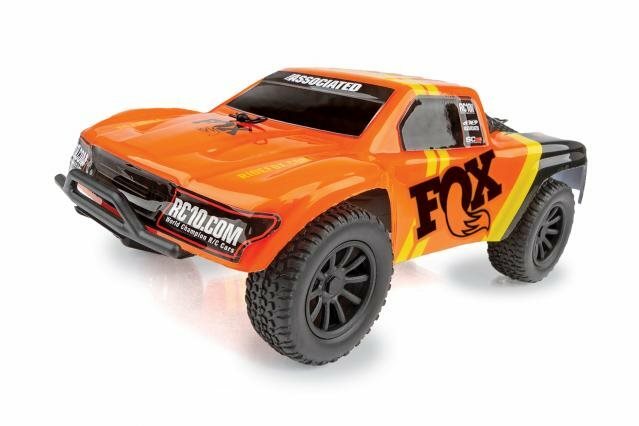 Team Associated is pleased to announce a brand-new licensed variation of the FOX SC28 short course body, featuring an orange paint plan with the iconic FOX logo. The included 2.4GHz transmitter permits complete control, allowing you to browse around, through, and over barriers with ease! 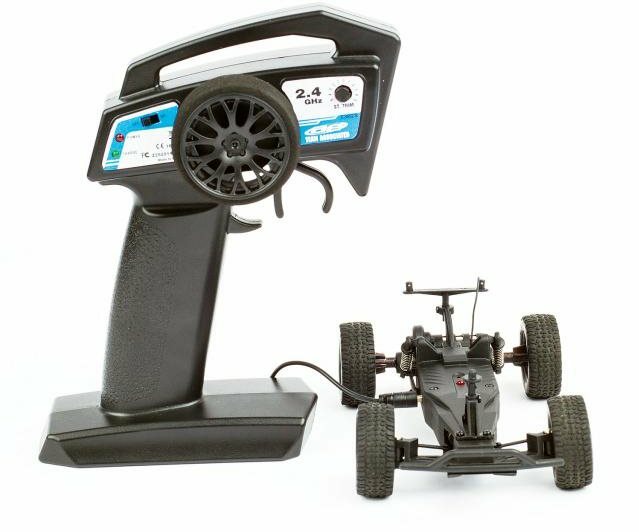 After the automobile's incorporated battery becomes released, the hassle-free integrated transmitter battery charger makes it simple to return to complete power and all set to run in less than an hour. A built-in rechargeable battery and 4 AA's are included, so it is all set to go right out of package! Just charge and drive! Everything included in package -- simply charge and go! Regularly acquired with the thing that you are presently checking out. mounted on Black Desperado Back Wheels. Want another fantastic thing to match the above discussed thing? 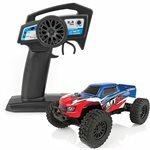 Small in scale however monstrously fun, Team Associated's MT28 1:28 scale electric RTR Beast Truck is here! 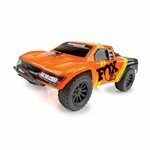 This no-nonsense pint-sized monster truck looks fantastic with its appealing graphics and drives smooth thanks to its effective electric motor and capable drivetrain. The included 2.4 GHz transmitter gives you complete control through and over barriers with ease! With the increased ground clearance and rubber tires, the MT28 manages like no other automobile in its category. 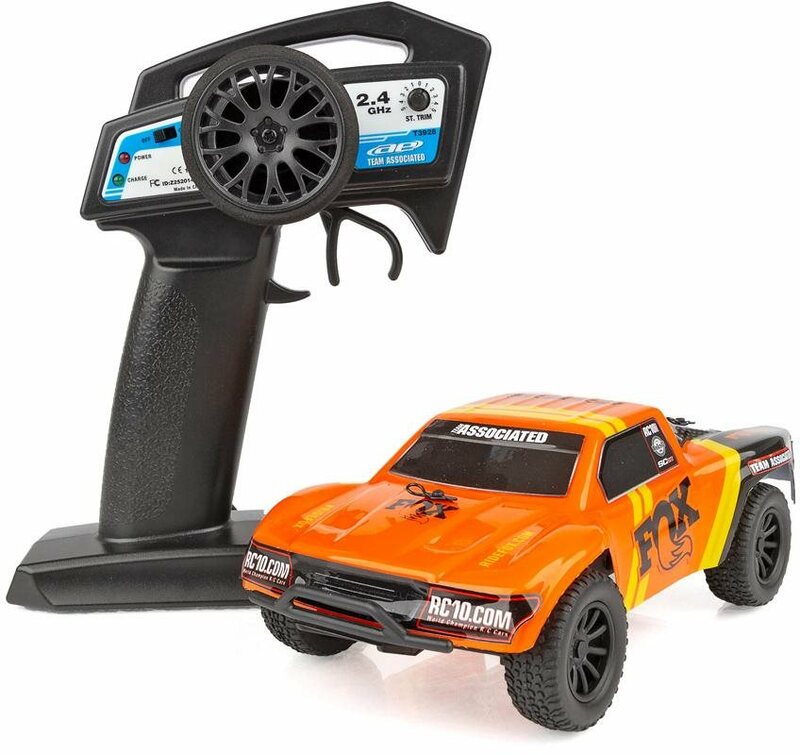 When your offroad thrills exhaust the automobile's incorporated battery, the hassle-free integrated transmitter battery charger makes it simple to return to complete power in less than an hour. A built-in rechargeable battery and 4 AAs are currently included in package! Just charge and drive!